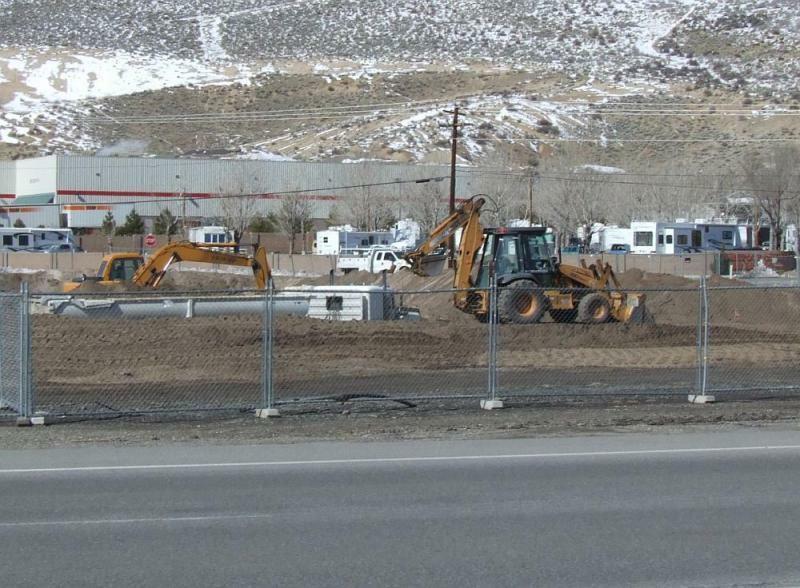 I put up some pictures last week of the work that was being done at the Bodine’s casino site. It took a few days, but the Nevada Appeal finally made mention of it on Wednesday. Although there wasn’t a whole lot of new information in that article, mostly because the new developer couldn’t be reached to comment. So I guess no news means there have been no changes, and they’re still following through with the original plan to build a casino on the corner there. According to the building permits it will be two stories and 66,000 square feet. Not sure if it still includes the underground parking that was talked about last year, because the bulldozers have stopped digging, and the hole they dug really doesn’t seem deep enough. This and the Fandango Hotel will definitely be two exciting projects to watch in South Carson this year.